The sacral chakra is located in the lower abdomen that is connected to the reproductive system. This is the sacred place of creation, pleasure, relaxation, fearlessness and peace. 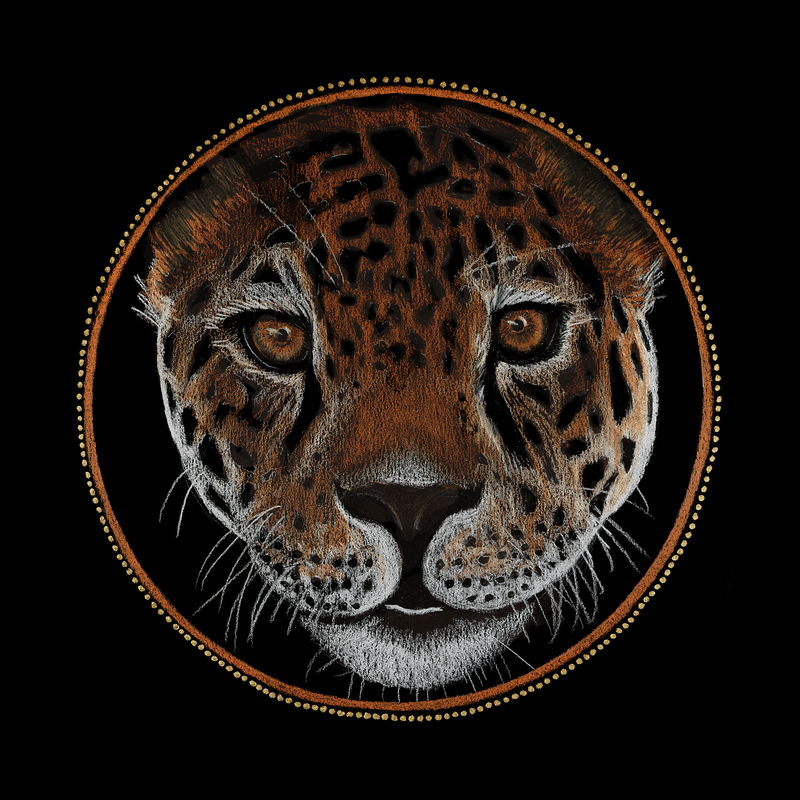 Jaguar is the peaceful warrior that brings balance to our creative and sexual power. Jaguar is a warm-blooded mammal that sees in the dark, giving it the ability to hunt at night. Jaguars represent the top of the food chain within Meso-America. In North America and Europe, Jaguars are referred to as Panthers. Jaguars embody the predator/prey dynamic of fight, flight or freeze. Jaguars hunt only to survive, therefore they teach us how to use our power wisely and selectively. Jaguar encourages us to go into the shadows of our lives to claim the wisdom that waits for us. If we do not look at those things that scare us, those things that scare us will stalk us. If we move through what scares us, we will conquer our fears. Jaguars are nocturnal and encourage us to enter the world of darkness and shadow without fear or reservation. Our shadows provide enormous insights and wisdom for reclaiming our power and seeing that it is the primary source of inner peace. Here one becomes aware of oneself as a human. Message: Jaguar is reminding you to face what frightens you. Bring these fears forward and out of the shadows, see them for what they are and move forward. Most of the time they are unresolved wounds from childhood, or stories you have taken on over time or from your ancestors. Do what you can to resolve your fears and see the lessons you have learned because of it. These lessons will become sources of wisdom and strength. Begin to see that your true power is to be in balance and at peace within yourself and your world.